From the streets of New Orleans and the heat of Midnight Ink, comes the happy ever after for a character whose story begged to be told. Sassy Bordeaux is the Midnight Ink receptionist, honorary godmother, best friend to many, and matchmaker expert. In the past two months, she’s watched eight couples fall in love, make mistakes, and find their happy endings. Though she might have had hand in each of those, she’s yet to find the peace she’s desired. 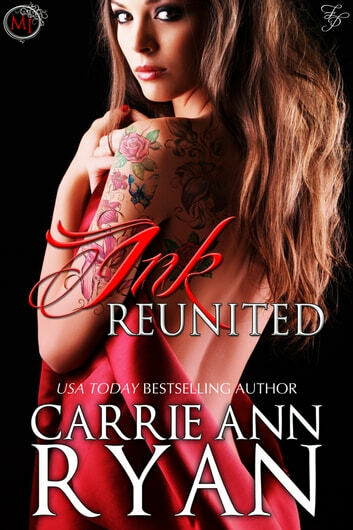 When the men from her past come into Midnight Ink, she’s forced to face what she left behind and what could happen if she lets go of her pain and finds a future she deserves. Rafe Chavez and Ian Steele remember their time with Sassy like it was yesterday, yet have worked hard to move on. Or at least try to. Now they’re both back in New Orleans for the woman they loved and for the connection they shared with each other. It will take more than the usual groveling, pleading and begging for these three to overcome their history, but once they take that step, the streets of New Orleans will never be the same. Loved the characters in this book. As we all know you can't fight what the heart wants. This was the most sensual read so far. A great read. Love getting to know these characters. Wish this story was longer and a bit more xxxx steamy. Another good story from The Montgomery Ink series. This stories establishes how Sa falls in love and with who. SRyan is always a great story teller and this novella is no exception.